Former President George H.W. 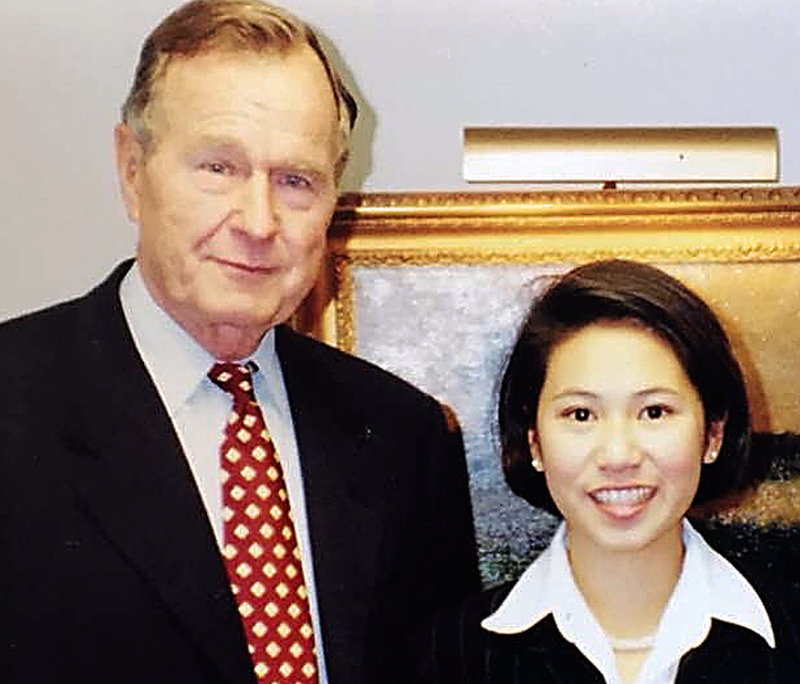 Bush with future Florida congresswoman Stephanie Murphy. WASHINGTON — Asian Pacific American members of Congress were among those eulogizing former President George H.W. Bush, who died on Nov. 30 at the age of 94. In 1990, Bush issued Presidential Proclamation 6130, designating May 1990 as Asian Pacific American Heritage Month. Previously, Presidents Ronald Reagan, Jimmy Carter and Bush had designated a week in May as Asian Pacific American Heritage Week. Public Law 102-42 was passed unanimously by Congress and signed by Bush in 1991, proclaiming May 1991 and May 1992 as Asian Pacific American Heritage Months. In 1992, Congress passed Public Law 102-450, which permanently designated May of each year as Asian Pacific American Heritage Month. Rep. Grace Meng (D-N.Y.): “George H.W. Bush was a patriot who served our nation in so many ways and always did so with honor and integrity. He was also a devoted family man. Sad about his passing. The legacy of his service will never be forgotten. My thoughts and prayers are with the entire Bush family.